What Is Reverse Block In Scuba Diving And How To Overcome It? 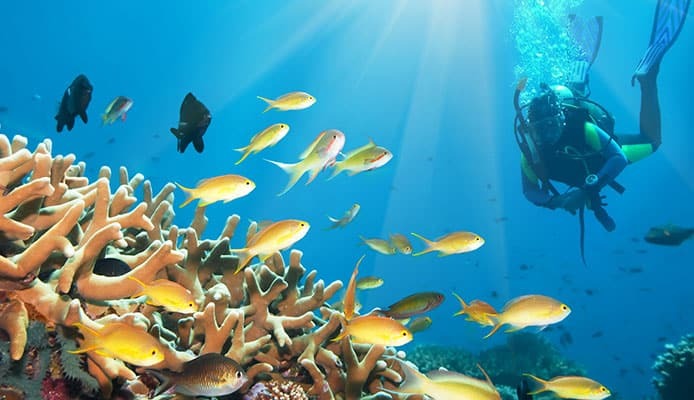 You may have taken your scuba gear package and enjoyed an exciting dive under water with your dive buddy only to have ear equalization problems as you make the ascent. Often you will be trained to use your hand to send the signal to your buddy that everything’s not okay. You can do this by turning your had side to side as if making the so-so gesture. At this point, you get a sharp pain in your ears which makes you pinch your nose and blow air into the air cavities. This is the reverse block. Reverse block occurs when air gets trapped in a diver’s ears which then expands causing the sharp pain as the diver makes his ascent. Keep in mind there are two main reasons why the ears could hurt when making the ascent. The first one is caused by inexperience. As the diver is trying to ascend, he loses track of his depth and goes downs without equalizing. Check out the three scuba diving breathing techniques for beginners. The second reason is caused by the reverse block. Your dive buddy may not be aware of what is happening to your body and you are in a far better position to tell when something is not quite right based on how you feel when making the ascent. According to Boyle’s law and scuba diving, as the diver rises to the surface the water pressure on his body decreases. This also has the effect of causing the air in his ears to expand resulting in an ear squeeze and a sharp pain. In most situations the air will escape into the water as the ears themselves equalize to the low pressure. If the diver was at this point to decide to make a descent, he would need to equalize again with the increased pressure. Otherwise there would be a discomfort in the diver’s ears from the pressure. 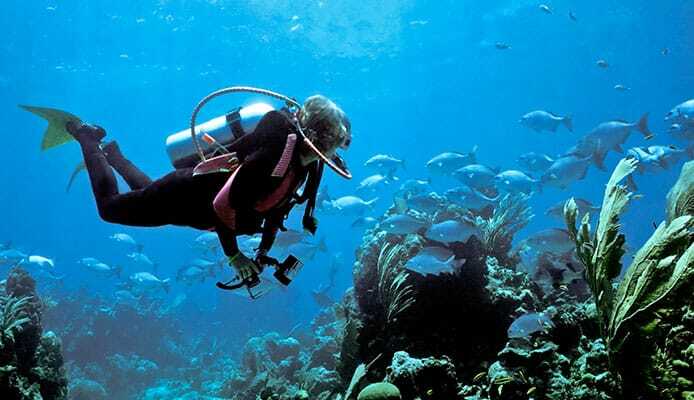 With the diver being aware of the need to equalize with every descent, he is more likely to be in tune with how his body and ears feel when there is an increase in pressure. This comes with the advantage of being able to tell when you are sinking as you try to rise. Another reliable and quick way to judge the ascent is by monitoring the gauge and the dive computer regularly or to use an ascent line as a visual reference. The other major reason why you would get ear pain during an ascent is reverse block. As the diver rises to the surface, the air that is in the air spaces in the diver’s body will expand. When the air is trapped inside the ears of the diver, there is an ear squeeze then reverse block occurs. There is pressure exerted by this trapped air which causes the diver to feel the same as he would if he failed to equalize during a descent. However, in this case the pressure is being caused by the expanding air. This is what causes the confusion as the diver pinches his nose and blows more air into the ears. The last thing that the diver needs is more air into the ears. Performing the equalization procedure will thus cause the problem to get worse. Check out the scuba diving five point descent guide. The solution is to descend until there is no pain in the ears. Once he reaches this point, he should then ascend at a slow pace. This slow and gradual ascent will allow the trapped air to gradually get out of his ears. While it can take minutes, sometimes it will take no time at all to get rid of the trapped air. One of the worst situations is where the air supply of the diver goes down meaning that he will have to risk ear barotrauma and ascend to the surface. More often than not, reverse blocks will occur when a diver doesn’t follow the normal procedures and safety guidelines. He might even use other forms of medicine to help him equalize when making the descent. Due to the high levels of pressure under water, drugs will be used up much faster. At the end of making the dive, the diver who is using medicine for equalizing will quickly find that the effects have worn off. Now that he doesn’t have the drugs, he is going to ascend which then causes air in the ears to get trapped. Its important to take time and understand what is the definition of a squeeze in scuba diving. Another thing that could increase the odds of a reverse block is an ear infection. This is not as easy or as straightforward. The main thing that a diver can do is to ensure that he dives when he is completely healthy. Also, you should avoid using drugs to help in equalization. It’s important to learn how to perform proper buoyancy control as well as the right procedures for ascent such as regularly checking the dive computer and the gauge. If you are not sure whether the ear squeeze is caused by revere block or failure to perform proper equalization during descent then you can try ascending or descending to see which of the two relives the pain. Reverse block is something that could happen to any diver and its important to know how to prevent it or eliminate it. Often the answer is as simple as diving deeper until the pain subsides then gradually make the ascent.